Living in Singapore, one becomes accustomed to residing in rather cramped, cloistered and compact spaces. One area of the home that commonly suffers due to a lack of space is the bed and sleeping quarters. Beds are one of, if not the largest pieces of furniture in the home, and for this reason, they take up a huge amount of space in your floor plan. So what is one to do when working with a small or miniscule dwelling? Apartment living can be tough, but it can also encourage a little ‘thinking outside the box’ when it comes to the decoration and design of your abode. Today we are going to take a peek at 9 incredible space-saving loft beds that are sure to impart a sense of style, as well as improve the cohesion and movement throughout your home. Making the most of a compact or small space can be difficult, but sometimes you simply need to get back to basics. 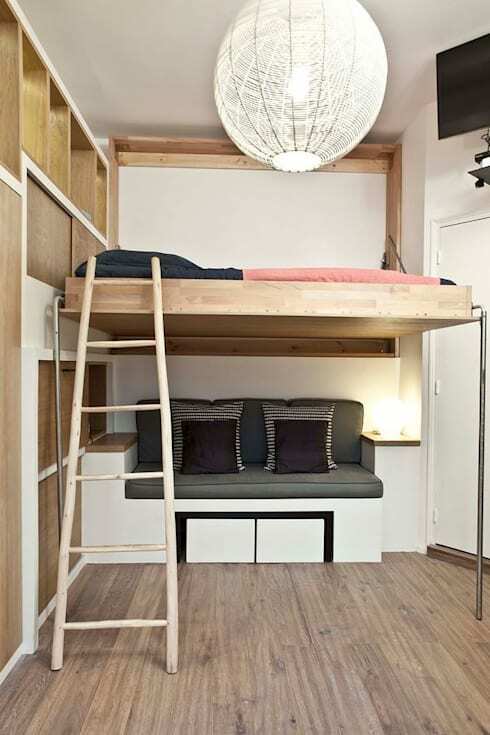 This loft bed is a brilliantly fuss free design that includes a comfy seating space below, with a double bed on top—simplicity, minimalism and style, without compromising your floor plan. 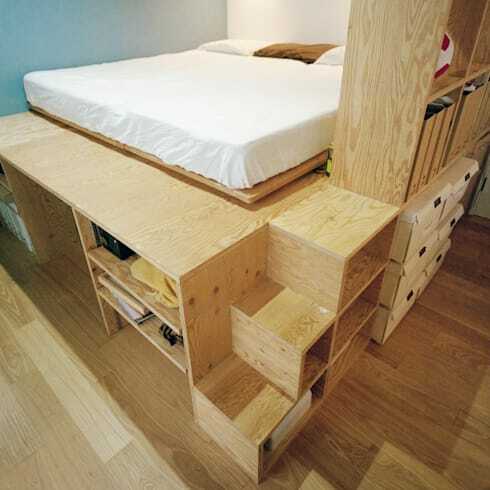 For an all-in-one solution to space saving design, check out this impressive bedroom cube! Boasting a place for all of your sleeping and living appurtenances, this gorgeous dark timber veneer is wonderful placed against the bright white walls. Let's not forget the little ones in our lives! This gorgeous loft bed ideally captures two necessities that are essentials for any child's room: a playroom and a sleeping space. If you are planning to upgrade a child's room and need some assistance, chat to an interior designer and decorate with confidence! 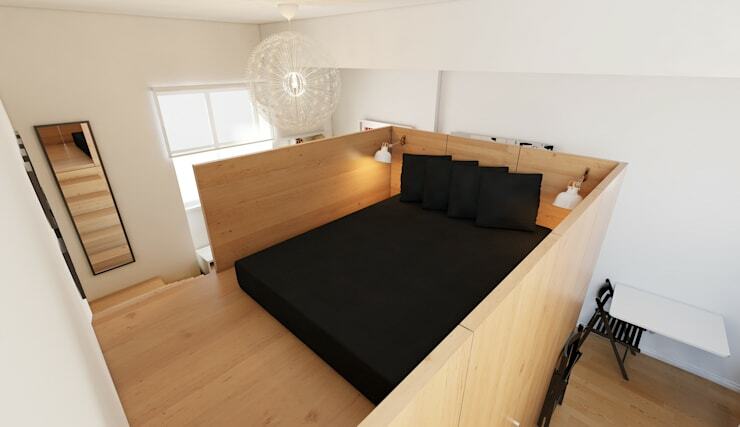 The next bedroom we are looking at is undeniably a fabulous example of a loft bed setup. Maximising space in with an incredible split-level bed and sofa, this bespoke joinery provides an area to sleep, a place to relax, as well as a neat home office. Similar to the aforementioned child's sleeping space, this amazing timber bed is a great way to include a fun play area, as well as an entertaining single bed. This impressive piece of bespoke joinery is a great example of interior architectural ingenuity. A small stair can be pulled out to reach the large bed's mattress, which additionally includes a bookshelf and area for miscellaneous ornaments. One of our absolute favourites, this design re-thinks the way we look at loft bedding. 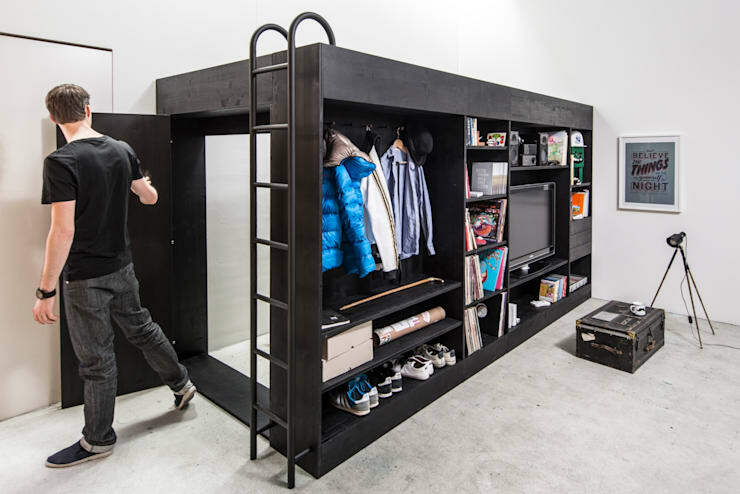 Instead of the typical sleeping area that is reached via a ladder, this ingenious design offers a pull down bed, which retracts up to the ceiling when not in use. Coming to the end of our list we see a great loft bed that once again includes essential storage space, often neglected in small or minute dwellings. With plenty of shelves, and a cute staircase leading up to the large king size mattress, this is one bed you are going to love having in your home! The last bedroom we are looking at is a cosy and delightful timber nook. Replete with gorgeous wooden tones and contrasting black bed linen, this is brilliant use of space, and a gorgeously simple solution to saving space. Which of these loft beds is your favourite? Let us know in the comments!